A Tonk's Tail... err, Tale...: 'Toon Tuesdays: Eww. Just, Eww. Is this before they start rolling around on the pizza?!? Someone has a wicked sense of humor! I think Shiner would LOVE a cat poop pizza... unfortunately. 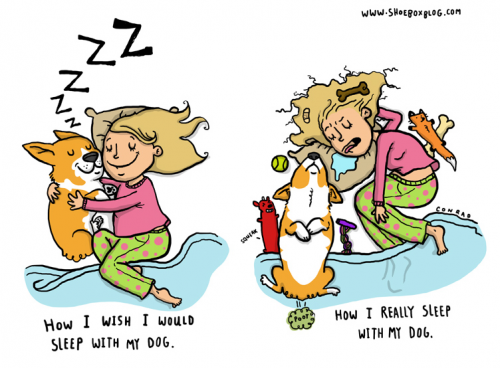 I can see that happening with a dog. 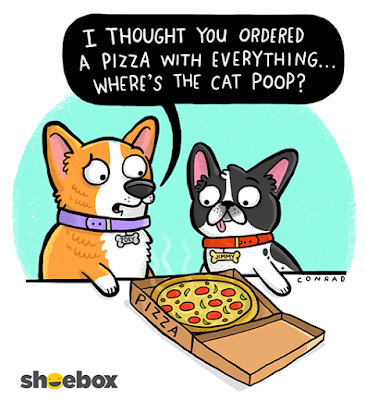 One cat's poo is another dog's treasure! MOL! That is an ewww! But we dogs see the humor.